Sydney is undoubtedly the crown jewel of Australia, and its reputation as one of the hottest travel destinations in the world has been well earned. Sydney is one of the world’s leading metropolitan cities, and the fact that it has been built around a stunning harbour only adds to its majesty. A trip down to Sydney, whether long or short, offers a lot of splendor. 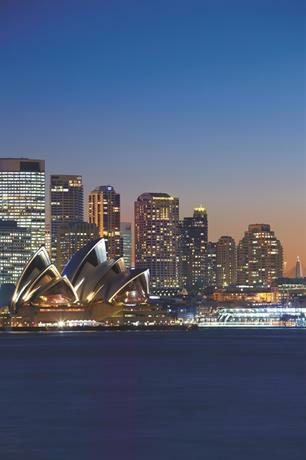 You can enjoy a night of culture at Sydney Opera House, the world’s most renowned performing arts venue. You can take a solitary walk down the stunning Sydney Harbour Bridge, and simply appreciate the beauty of the city lights reflected off the clear blue waters. Or you can simply stroll over to Bondi Beach and soak up some much needed sun as the waves kiss your toes. With so much wonder to take in, it is crucial that your stay in Sydney should appropriately reflect the majesty of the city itself. Which is why you should take some time to consider which luxury hotel you’d like to stay at. To that end, we’ve listed out 10 of the best luxury hotels in Sydney so that you can make a more informed decision about where you’d like to stay during your travels! 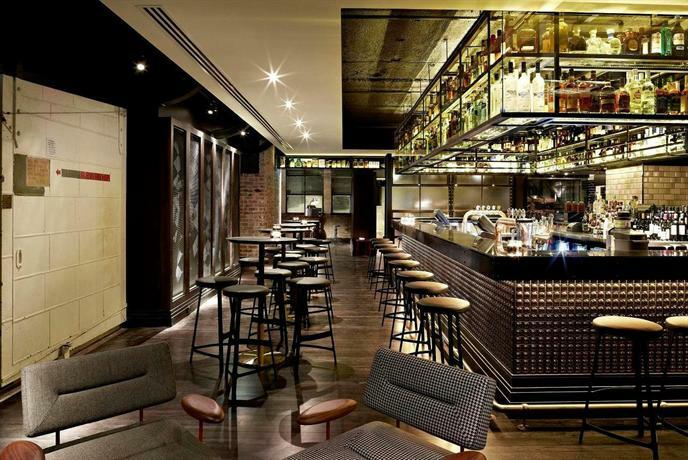 Park Hyatt is undoubtedly the reigning champion amongst all the luxury hotels in Sydney. Every room in this hotel can boast a view of the harbor and the Sydney Opera House. The rooms have been decked up in a modernist minimalist style, juxtaposed with a very earthy aesthetic emphasizing dark chocolate, cream, and beige shades. It is luxurious, occasionally opulent, and always stunning. The bathrooms feature deep bath tubs you can sink into, and a separate powder room. Considering the stunning views of the city around you, every inch of your body would likely be torn between exploring the rest of the hotel or exploring the city. The rooftop of the hotel features a swimming pool fashioned in an art deco aesthetic. While the amenities of the hotel are considerably opulent, the lobby itself is the very picture of subdued beauty and radiance, burnished in neutral shades and enhanced by the murals that hug the walls. As far as the location is concerned, this trendy hotel is central enough that you can walk over to the Circular Quay if you so choose, or you can hop into the public transport and be taken to Bondi Beach. If you check yourself into one of the more expensive suites you also gain access to your very own balcony from which you can look over all of Sydney. The Opera Deluxe Room, in particular, is stunning with access to two terraces that hold watch over the Harbour and the Opera House. 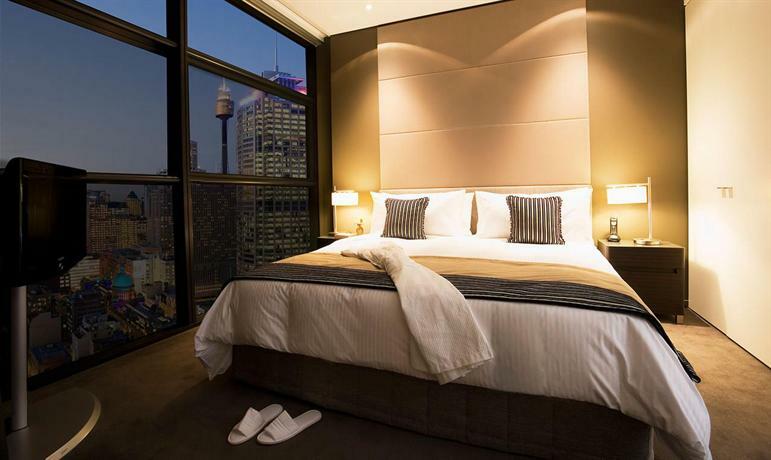 This is one of the most luxurious and reasonably priced hotels in all of Sydney. It features a truly stunning view of the city from the Executive Suites. There are a total of 565 rooms in the whole hotel, and 30 of them feature a breathtaking view of the city. The regular rooms have been kept a little basic and simple with a fawn color scheme against blue carpeting, however they’re quite spacious as well. The suites have been designed artistically with a lot of earthy shades, and the bathrooms feature complete marble tiling. The indoor pool is perennially warm, and makes for a great place for families and children to hang around. The aesthetic of this trendy and opulent hotel hasn’t changed since the 90s and it clearly shows because the hotel seems to favor a dark and intricate aesthetic, replete with cherry blossom rugs, as opposed to the more current and preferred forays with minimalism. 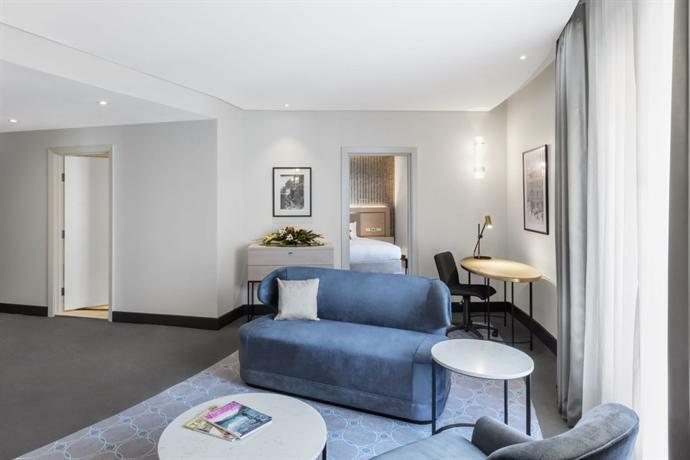 As for the location, this charming boutique hotel is situated at the very center of the Circular Quay, the erstwhile mentioned tourist hotspot. 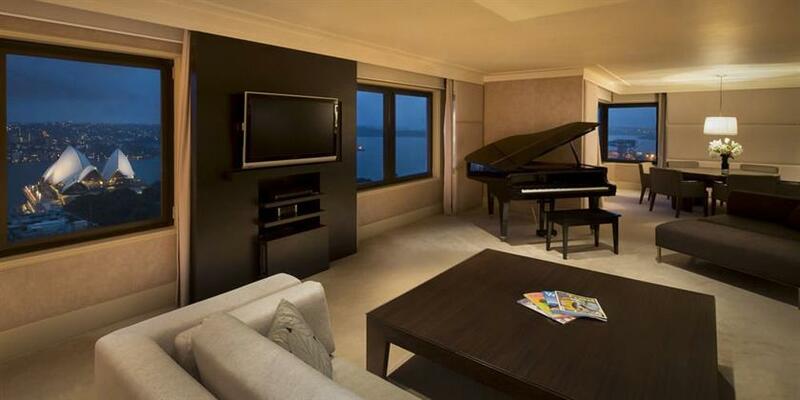 If you opt for a room with a view, you can wake up every morning looking over at the majestic Sydney Harbour. You’ll also be within walking distance of some of the other major tourist attraction spots such as Sydney Harbour Bridge, The Sydney Opera House, and The Museum of Contemporary Art. If you thirst a little adventure and don’t go dizzy at the thought of scaling heights then you absolutely must also go to The Bridge Climb. If you want your hotel to also maintain a sense of history, then InterContinental Hotel is ideal for you. It was built way back in 1851 and used to be a Treasury building, before it was renovated into a hotel with stunning classical façades. The hotel is ideally located, a mere two minutes from the Circular Quay, five minutes from the Sydney Opera House, and within walking distance of the Government House as well. Architecturally, it has been built in a 70s inspired sandstone skyscraper structure, boasting some colonial motifs, and thus it maintains its classical heritage even though all the rooms have been modernized. Because of the effect of modernism on pretty much all architectural structures, you can now find yourself in a hotel that stays true to its roots while still offering modern technology and signature-minimalist decor. If there’s a complaint to be made, it’s that the standard rooms can be quite small relative to the rooms offered by other luxury hotels. As such, if you truly want to live in style and charm, then you’d do well to get a deluxe room. 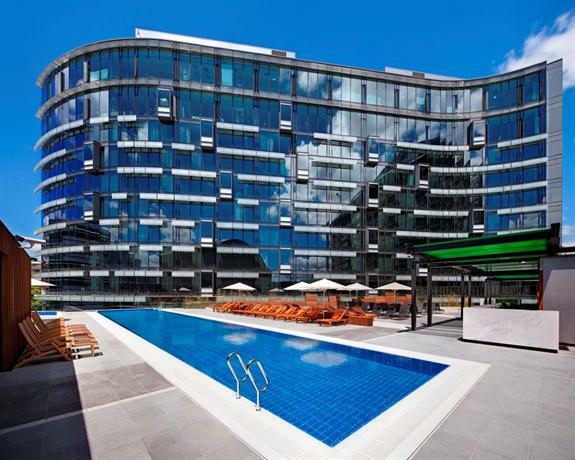 It also features a great Swimming Pool on the 31st floor that children are bound to enjoy. If you book the hotel during the off-seasons you can get a pretty sweet deal, however during peak-season the rates go way up. The Four Seasons Hotel is located in the prime centre of Sydney, strategically positioned so as to have a clear view of the Sydney triumvirate — the Sydney Harbour Bridge, Sydney Opera House, and the Museum of Contemporary Art. The Opera House can be reached in just 5 minutes by foot, the Harbour Bridge is a mere 600meters away, and the Museum is right next-door. In addition to the prime location, you are also well placed to access all public transport and move around the city with ease. The harbor itself is stretched along the hotel so you have a clear view of the sea. The decor of the hotel is particularly elegant with vast chandeliers that tinkle gently against the sea breeze, thus producing a natural melody to infuse the hotel with a certain pleasant warmth. The oak walls beside the elevators are particularly stunning. In assiteion to that, the lobby features a vast sprawling landscape art piece depicting the Sydney Harbour. If you truly want to live in style even within this magnificent hotel, then check yourself into Room 2509, which provides the most stunning view of the harbour, opera house, and the bridge. The room is also decorated very well in an odd yet endearing blend of gold, chocolate-brown, and beige. The view from this room, and most rooms really, is so stunning that you won’t be able to keep yourself from pulling back the blinds first thing every morning. However, practice caution while doing so as the sun shines directly into your room. The Westin is a 5 star hotel located very close to The Rocks, and prime attractions such as Sydney Harbour Bridge and Opera House are approximately 1 kilometer away. The hotel is located in the central business district and as such it is mostly frequented by people on work or business. However, it has plenty of amenities for leisure as well, such as their in-room massages, the spa, and great restaurants and shopping centers just around the vicinity. Sheraton on the Park is a well-established and well-revered hotel chain regardless of location. However, the Sydney Sheraton is arguably their finest work to date. As if to further elucidate just how high-class this hotel is, the driveway is lined with luxury and boutique stores on either side, as if to ward away anyone who doesn’t truly subscribe to the philosophy of conspicuous consumption. 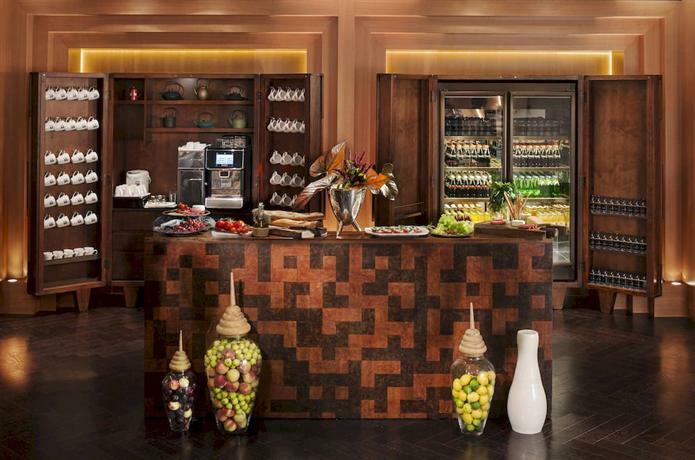 Sheraton is a surprisingly elegant and sophisticated luxury hotel with a view of Hyde Park. Having a view of Hyde Park isn't as grand as that of the harbor, however it is truly a stunning view regardless. The rooms are built with a modern aesthetic, replete with lush furnitures, and they all feature marble tiled bathrooms. The location is great as you have a variety of restaurants and bars to choose from just around the corner. If you want to simply stay in the hotel, you can while away your time at the Executive lounge wherein you’re sure to meet a few interesting guests. Radisson Blu Plaza Hotel is a triangular sandstone building that used to be a Newspaper Media house. The Sydney Opera House, The Sydney Harbour Bridge, Circular Quay, and other important tourist stops are just a short walk away. 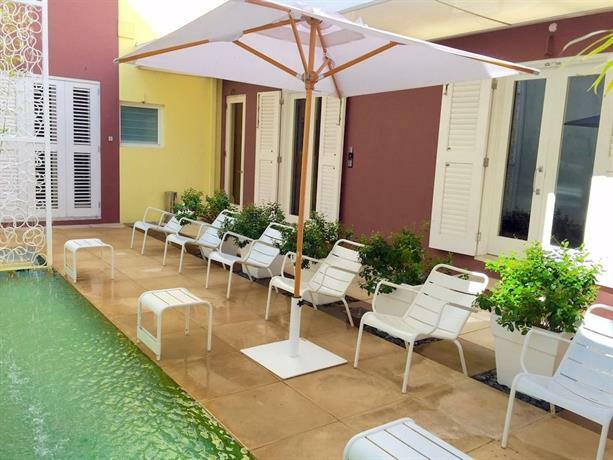 This hotel is also located well within walking distance from markets, restaurants, and malls. Unlike most other hotels, the beauty of Radisson Blu Plaza Hotel springs from its restrained blue and chrome shades. It is classy and subtle. The rooms also feature metallic wallpapers that go really well with the general sleek aesthetic of the rest of the hotel. 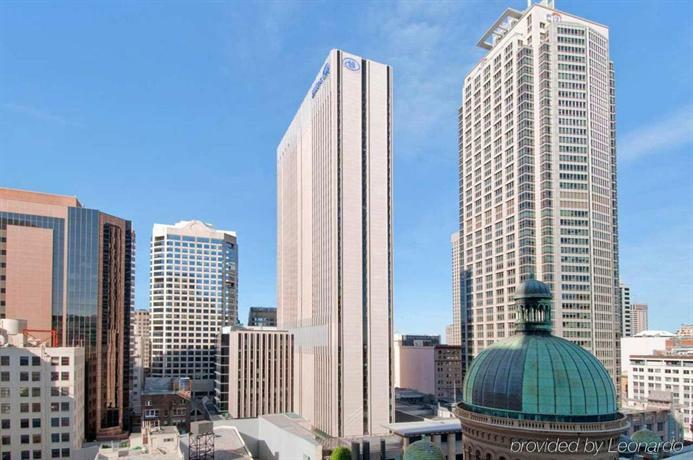 Hilton Sydney is located in the very center of the city, with close access to all the important landmarks such as the Darling Harbour, and Bondi Beach. Besides a vast number of rooms and suites, you also get access to 28 meeting and conference rooms to conduct business in. Two of the other attractions of the Hilton are their excellent hotel bar and rooftop Zeta Bar, wherein you can enjoy pleasant music while sipping on cocktails and looking over at the rest of the buzzing city. 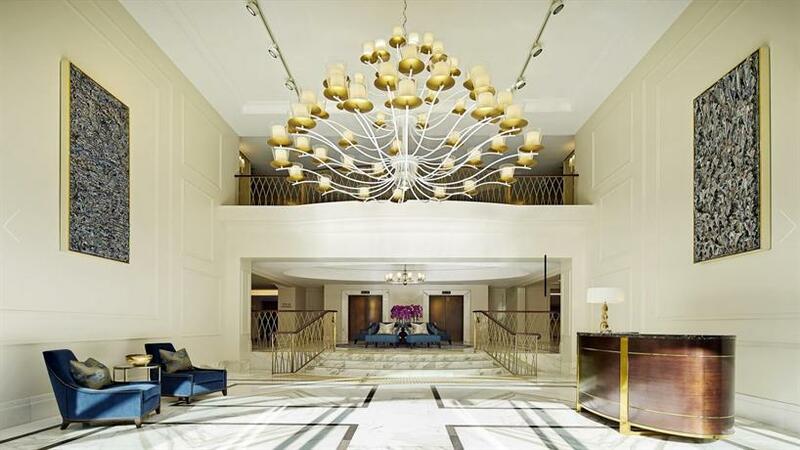 The Langham Sydney is the very embodiment of opulence and luxury. 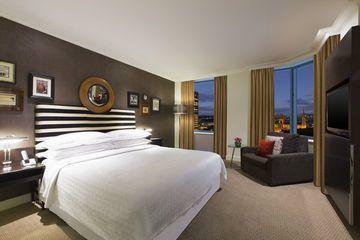 They have a pillow menu that stretches on for an entire page, they feature extremely fluffy and comfortable beds that you can very well sink into, and they offer a stunning view of the Sydney skyline and the Western Harbour. The hotel is a part of The Rocks, which is not as popular as downtown Sydney with its Opera House, however this location boasts some colonial era pubs and monuments that will surely appeal to you if you like things that are just a bit antique. QT Sydney is a hip hotel placed at the very centre of Sydney’s shopping center with plenty of restaurants, departmental stores, and malls around. Popular tourist spots such as Circular Quay, Harbour Bridge, and Sydney Opera House are all within 15 minutes from the hotel. The hotel itself has been designed from two early 20th century buildings, and that history explains the quasi-ArtDeco aesthetic of the hotel which makes it so popular with lovers of all things vintage. The hotel features several creative designs, such as a wall of vintage luggage, and several art installations in the in-house café. This lovely boutique hotel is situated on perhaps one of Sydney’s most prominent streets — Macquarie Street. Just beyond this street lies the prime tourist attraction, the Circular Quay, which is in turn flanked by The Sydney Opera House, The Harbour Bridge, and The Royal Botanical Gardens, all of which can be easily reached on foot itself. If you’re in need of indulging your gastronomic senses, then just step out of the hotel and into any one of the several high-end restaurants that line the street. 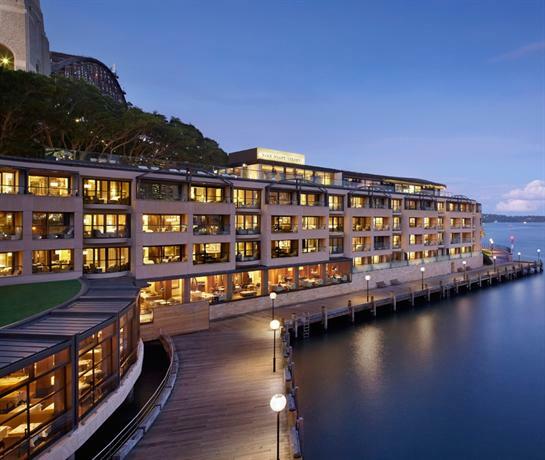 The floor-to-ceiling windows all boast a sprawling view of the Harbour, and pretty much everything in this hotel dazzles as if it were gold, be it the rooms, the lobby, or the twinkling and radiant dandelion lights. This boutique hotel is unique in that it’s a little further removed from the prime tourist hotspots of the Sydney Harbor and the rest. This can be either a good thing or a bad thing, depending on how you look at it. 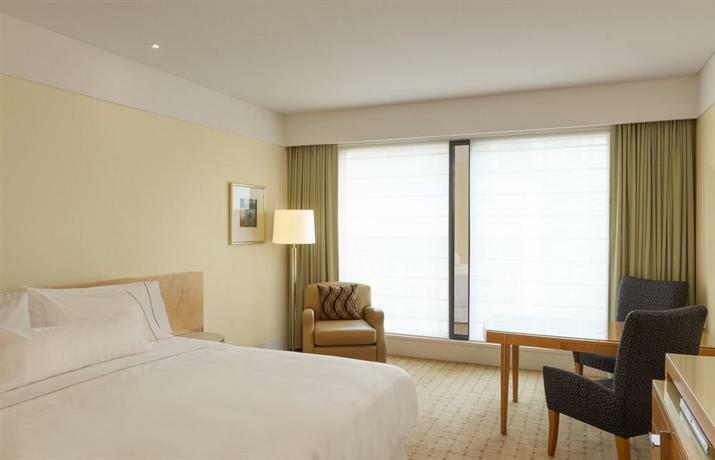 The Fraser Suites Sydney is placed in a neighborhood with Chinatown, Sydney’s Spanish Quarter, and the Darling Harbour. This hotel is quite homely and apartment-styled, perfect for those who don't appreciate the very cold and impersonal feel of most luxury hotels. However, don’t let that statement indicate that this hotel isn’t luxurious, because it very clearly is. However, unlike the hotels in which you feel like you’re living in an opulent hotel, this one makes you feel like you’re in an equally opulent apartment. 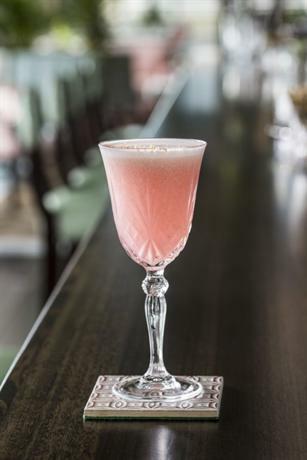 The Darling is yet another grant five star hotel located in the vicinity of the more underrated tourist attraction of the city, the Darling Harbour. If you’d like to explore the more mainstream tourist spots like The Opera House and The Harbour Bridge, then you’ll need to hop into a ferry or a bus. If you like a good walk, you can take a leisurely stroll through the town and you’ll reach your destination in about half an hour. The hotel itself is grand and quirky, with the sculpture of a giant red swallow staring you in the face as soon as you enter the lobby. The rooms are extremely tech-heavy, and might need a little getting used to if you aren’t good with modern technology. One remote controls everything, the TV, lights, and even the view from the glass walls! Medusa is yet another niche boutique hotel in the trendy inner-city life of Sydney. Within close quarters, you can head on over to soak up the sun at the beach, or you can hop over to Paddington to shop, or you can even entertain yourself in one of countless bars, nightclubs, and hip restaurants. Medusa personifies the eccentric heart of a city as varied as Sydney. 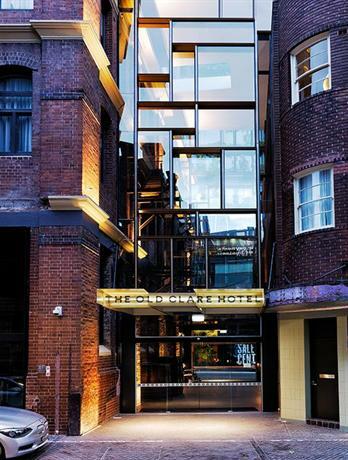 The Old Clare Hotel is smack right in the middle of the more alternative and hip hub of the city. It’s located in the neighborhood of Chippendale, which is a few minutes from the city center if you take a bus. However, this is a really quirky and artsy neighborhood you’d love to explore if your leanings are decidedly hipster. The streets are lined with some great artsy cafes, and some retro Art Deco bars and pubs as well. The interiors of the hotel are equally quirky with strange pendant lights, and even stranger armchairs. As such the hotel may seem random to a casual eye, but will surely appeal to your sensibilities if you have a little aesthetic rebel inside of you.